What a special tribute and memorable moment in Santa Barbara County history today. The U.S. 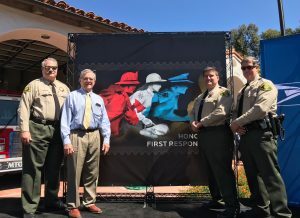 Postal Service revealed its new Forever stamp honoring first responders. 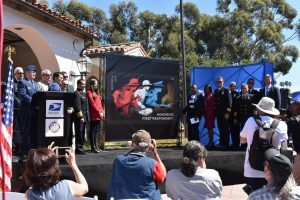 The official stamp dedication was held at the Montecito Fire Department. Local resident and celebrity Oprah Winfrey was the keynote speaker and we want to thank her for her heartfelt words. If you missed her speech and the official ceremony, you can view the link below from KEYT. 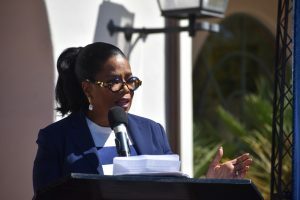 You can also see Oprah’s interview with KEYT following the ceremony by clicking on this link. Thank you to artist Brian Stauffer of Novato, California for designing this special stamp and a special thanks to the U.S. Postal Service for honoring first responders in this wonderful way. The large group photo and the photo of Oprah speaking are courtesy of Brooke Holland/Noozhawk. Her story wrapping up the event is below.